Who wants a golden ticket to see the spectacular new musical Roald Dahl’s Charlie and the Chocolate Factory, playing only in Sydney at the Capitol Theatre? We’re giving away the most sought-after tickets in the country – a chance for you and your family to enjoy this delicious show on Wednesday 27 February at 7:30pm at the Capitol Theatre in Sydney. We’ve got four tickets in total to give away. The lucky winner will get to experience the wonders of Wonka like never before – get ready for the Oompa-Loompas, incredible inventions, the great glass elevator and more, more, more at this everlasting showstopper! 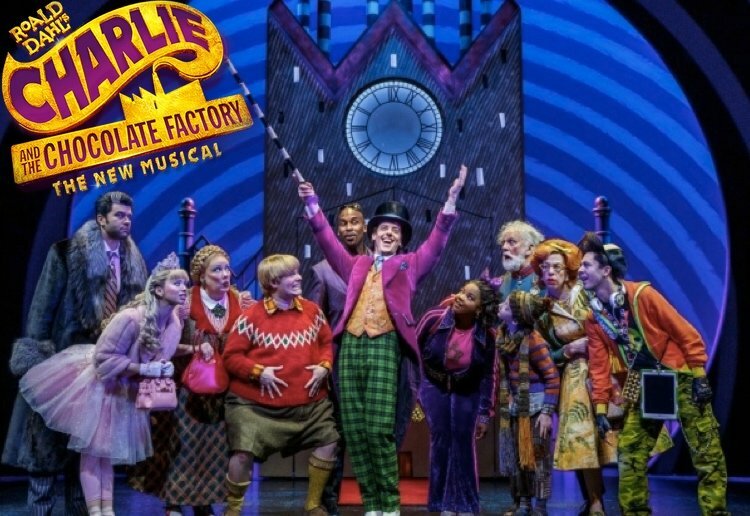 Willy Wonka, the most amazing, fantastic, extraordinary chocolate maker the world has ever seen, is played by Paul Slade Smith, who was part of the original Broadway cast of Charlie and the Chocolate Factory. Four boys share the role of Charlie Bucket in this delicious tale, Oliver Alkhair (11), Tommy Blair (11), Xion Jarvis (9) and Ryan Yeates (13). Ninety and a half-year-old Grandpa Joe, an enthusiastic storyteller and eternal optimist, is played by Australian show business royalty Tony Sheldon, who is best known for playing the role of Bernadette in Priscilla, Queen of the Desert. Charlie and the Chocolate Factory is perhaps Roald Dahl’s best-known story and has proved to be one of the most enduring children’s books of all time. The story of Charlie Bucket, the five Golden Tickets, the Oompa-Loompas and the amazing Willy Wonka has become firmly embedded in our culture since it was first published in 1964. Tickets are currently available until 9 June 2019. Get your tickets now from ticketmaster. Please note this competition is open from 9 February 2019 until 20 February 2019 and is only available to members of Mouths Of Mums. This competition is a game of skill – answer in 50 words or less. We are unable to accept entries posted via facebook. Facebook LIKE functionality is not a requirement of entry to this competition. The winners of this competition will be published on this page. Winners’ name and address will be provided to the promoter of this competition and prizes will be sent to the address you have in Your Profile. Please ensure your details are up to date so that you receive your prize. Who else but the Ommpa Lummpas……. they are soooooooooo cute and aborable. Willy Wonka, he’s such a memorable character! Yet totally entertaining, and her ending so deserving! A reminder that parenting with discipline in loving! I like Willy Wonka because even though he has everything he still has time to try to find the best in other people by testing them and getting them to confront their own faults. My daughter and I share a favourite character, Grandfather Joe because he is such an amazing role model for everyone and he brings everyone Joy. Sweet innocent Charlie, I love hes selfless humbling grand parents and beautiful outlook on life. My favourite character is Veruca. “Veruca, sweetheart!” is all I have to say to my daughters and they know they are being rude and demanding. Grandpa Joe is our favourite, we find him so funny and love the fact he can’t walk and is stuck in bed but as soon as he can go to the factory he is suddenly all fine. And gosh how Grandpa George did splunder! He ran to the golden gates for a tour. Charlie is my Grandchildren’s favourite character .they’ve grown up with watching the original willy wonka & the Chocolate Factory.With us over the years,there Mother Rachel,our Daughter & her Brother Phillip watched it over & over again.A Real Family Movie for all ages.MWAH.